Have you been trying to find a way to give back, but don’t want to do it the traditional way by donating your money or spending time volunteering? Peer-to-peer events provide a fun and unique way to raise awareness and donations (monetary or in-kind) for Tanager Place. The opportunities for peer-to-peer events are endless and allow you to hold an event that you enjoy while giving back at the same time! Below are some examples of peer-to-peer events that not only raised money, but also provided a great time for everyone who attended! A great example of a successful peer-to-peer event is the Christmas in July Bike Ride, which started by Lisa Waggoner. 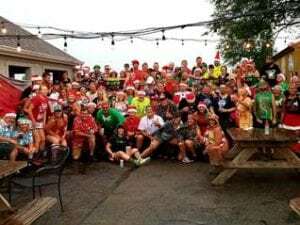 The bike group, the Lizzard Kings, rode from Sag Wagon to Kickstand to The New Shack Tavern, stopping at each bar to enjoy beverages and the company of everyone on the ride. They’ve been doing this bike ride for years, but thought they’d turn this year’s ride into a way to give back to the community. They were able to raise over $500 for Tanager Place in their first year! Another awesome peer-to-peer event that benefits Tanager Place is the Elsner’s Cabin Jam on the Wapsi River! 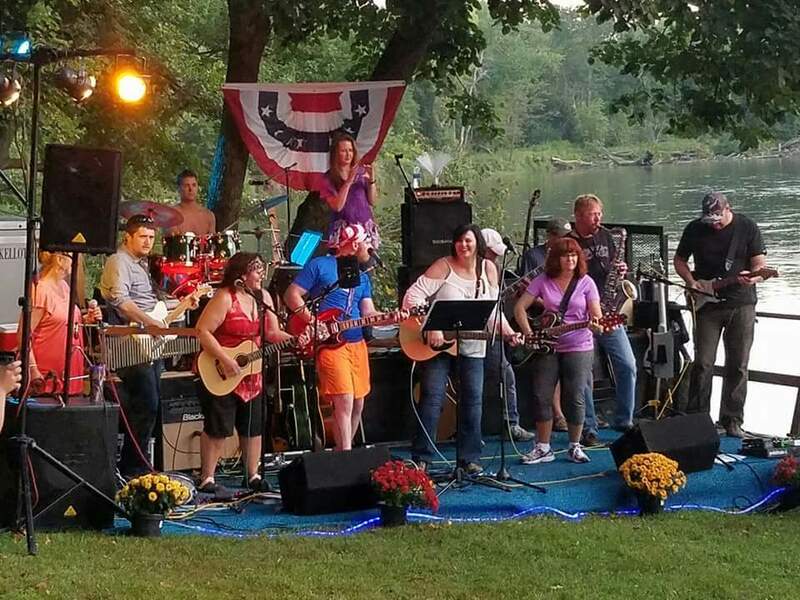 The Elsner’s get a band and invite their friends out to their cabin to listen to music and enjoy food and friends on the river bank–the catch? People have to bring a donation to enter that goes back to our Expressive Arts Program. This year they raised $500! The last example of a peer-to-peer event comes from Lydia’s birthday party. 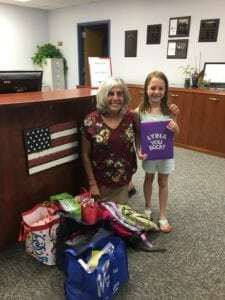 She asked all of her friends that attended her party to bring school supplies for the children at Tanager Place. Check out all of the awesome things they were able to donate! As you can see, peer-to-peer events can be as simple or elaborate as you want them to be! If you’ve got a fun idea and want to give it a shot, let us know! We’ll happily get you the materials and information you need to make your event a success. Help us sponsor 100 families this year!